After seeing many BookTubers rave about this book (mainly padfootandprongs07 and jessethereader) I asked for it for Christmas and if was definitely worth it! There's just something about this book that I found amazing and couldn't put down. I wouldn't recommend it for younger readers as it contains a lot of humour that wouldn't be understood by younger readers and some of the language used isn't appropriate for anyone under the age of around 13, in my opinion. Obviously, that's just my opinion however if you are under that age, it's probably best to ask your parents if it's okay to read this. 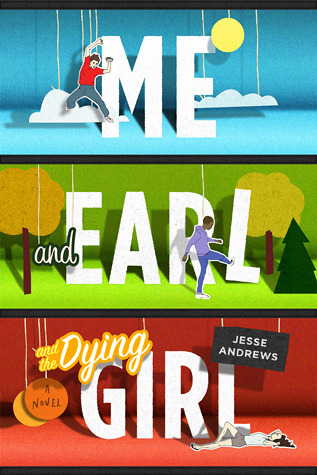 Me and Earl and the Dying Girl is written from the perspective of Greg Gaines, a typical high school student who's main aim is to remain 'friendly' with everyone without committing to one social group. His only real friend is a boy named Earl and even then, they describe their relationship as 'professional'. One day, Greg's mother tells him how a girl named Rachel that he knew when he was younger has been diagnosed with Leukemia. Greg then decides to spend time with Rachel, more because he feels as though he has too than wants to. This book says so it's self, it is not a typical 'caner book'. 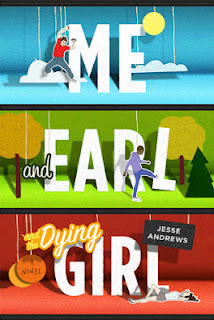 There's something about the way this book was written that made me fully believe that Jesse Andrews was really Gregory Gaines and the character was so believable, even in writing style, that I found this book was really unique. I can see how this isn't the kind of book everyone would enjoy but if you think it might be your cup of tea, I would definitely recommend it because, in my opinion, it's definitely worth reading.